Inspired by Ecology: Scilly Birding - my first book! Scilly Birding - my first book! In just five days time (on 25th April 2013), my first book will be released for publication. 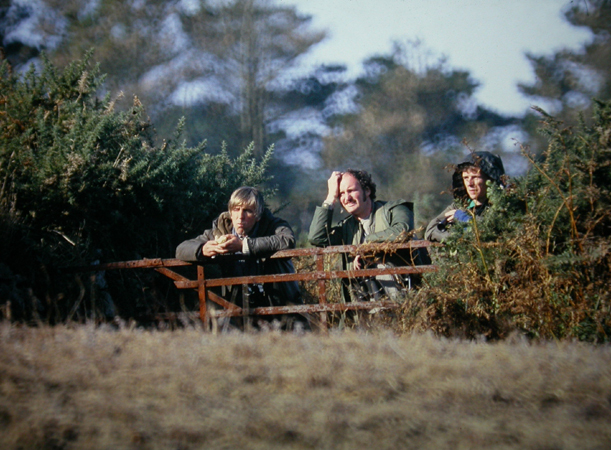 Brambleby Books are publishing “Scilly Birding – Joining the Madding Crowd”. 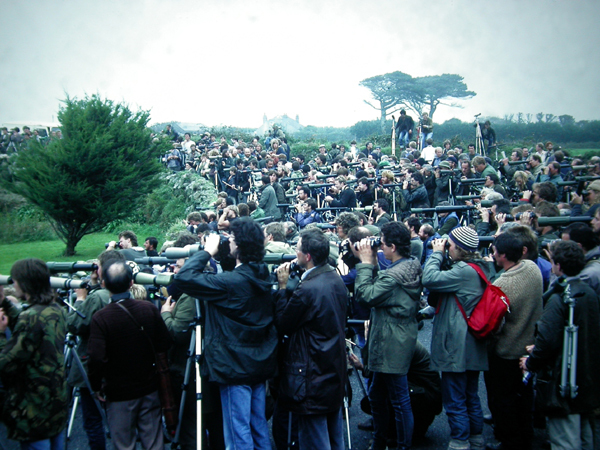 In 1984, I joined a group of pretty fanatical bird watchers to spend a fortnight in the Isles of Scilly. I had only been hooked on twitching rare birds for about six months, so the experience of being in the company of over a thousand rabidly keen birders was totally new. This gave me the opportunity to observe from a totally fresh perspective, the antics, joy and despair of dedicated enthusiasts. During that fortnight, I developed a way of being in the right place at the right time by predicting the reactions of the majority, and thereby attempting to be able to enjoy birds in the presence of just a few. 1984 was a most memorable year for birds on the Scillies, and these included several charismatic American visitors, all of which gave us a good old run around. The hours spent in silence under taxing weather conditions in order to catch a glimpse of a little bundle of feathers was an experience I had never had before. The book describes, in a hopefully amusing way, the trials and tribulations, as well as the joys and enthusiasms these experiences gave. As the fortnight progressed, I got to know one or two of the seriously experienced Scilly birders. People who, during the fortnight, would be lucky to see one new bird. It was in some ways embarrassing that I added an amazing twenty-six new species to my British bird list ending the fortnight with a list of two hundred and fifty. On my last full day I was in the company of two birders with British totals of around the then magical four hundred mark. All three of us had seen the bird of the moment, a quite remarkably beautiful Rock Thrush and a very rare bird indeed in Britain. “Simon, never let yourself become a yesterday’s man,” They advised. 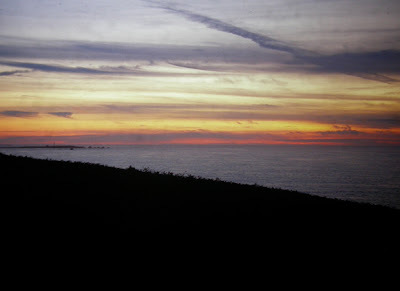 “Always try to end the day without a today’s bird still to be caught up with.” We were sitting on a rock outcrop close to a headland. Suddenly the Rock Thrush flew towards us, and perched on a rock a few feet away. The views we had of it were utterly stunning, and relaxed. Suddenly several birders broke the skyline in the direction from which the Rock Thrush had arrived. It was moments later that they began to rush towards us. Having wings, the Rock Thrush, the bird of the moment, alighted and flew off another quarter of a mile away from its would-be admirers. “Yesterday’s men……all of them,” my companions scoffed. “Seen the bird?” a breathless lad demanded as he caught up with us. “Yea,” One of us replied, “It was sitting on that rock over there.” He indicated the rock a few feet away. “We had stunning views, but then we didn’t need it; We had all seen the bird hours ago.” Obviously there is a moral to this tale, and to become a satisfied Scilly birder, it is important to be fully aware of it. On another occasion, I happened to be on my way up to where we were staying. We had a place on the far side of a football pitch on a hill above the main town. Three birders were coming down the hill. “Want to see a Rustic Bunting?” They asked as they drew level with me. “Indeed I do,” I replied, quickening my pace. “I’ll find the crowd looking at it, surely.” I replied. “But you don’t know where that is. There isn’t a crowd.” They informed me, “We’re just off to the Porthcressa to let them know, so they can announce it. There’s no one there.” Once I knew where it was, I knew I had perhaps a potential ten minutes to quarter of an hour to see this bird. A Rustic Bunting is a stunning little bird, but notoriously shy; I had already spent time trying to see one without success. I made my way across the football field to the place where there was wall, behind which was a tall, and straggly hawthorn hedge. Very gingerly, I peered over the wall. Immediately, from a few feet away on the other side, a flock of birds flew up into the hedge. Immobile I waited. First one sparrow, then another dropped down feet away from me. It must have been about the tenth bird that was an absolutely stunner, a perfectly marked Rustic Bunting just feet away from me. Feeling high on elation, I enjoyed the bird for several minutes before going off to our place. 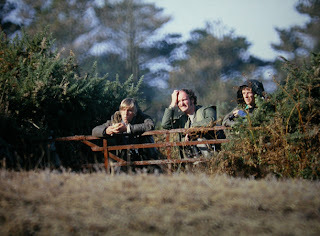 There were one or two very experienced birders enjoying a cup of tea. I announced the Rustic Bunting. To say they scoffed incredulously would be an under statement. Rapidly, I told them the full story, after which we all crept across to the wall for a repeat performance. “Well it was in that bush just there,” we replied, “But I’m afraid you scared it off just by arriving. It’s probably in a bush down towards the bottom of the field by now, and out of view". Soon the crowd had swelled to several hundred. 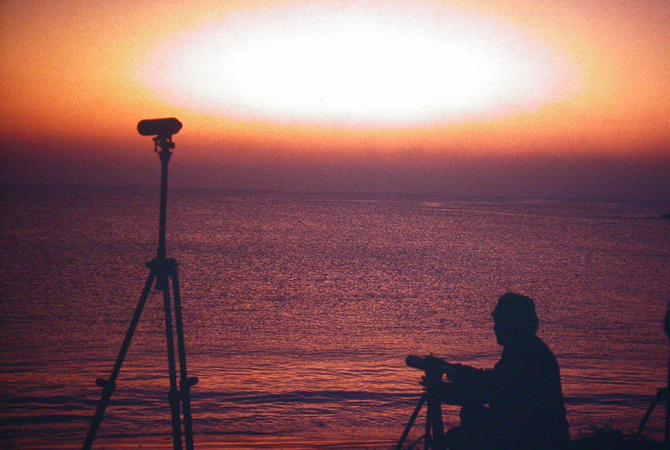 The book is more about the human stories of bird watching and birders than it is about birds. It is about the highs and lows of intensive birding. Many people who like to see their birds peacefully object strongly to the crowds that the rare migrant birds attract during the autumn, however by intelligent planning and thought, it is possible to enjoy rare birds, and avoid the crowds for most of the time. In any case, the Isles of Scilly in October are a beautiful place to be.